In the original 1973 Westworld, the actual cowboy-themed area was only part of the futuristic theme park’s attractions, as it included Roman and medieval areas as well. 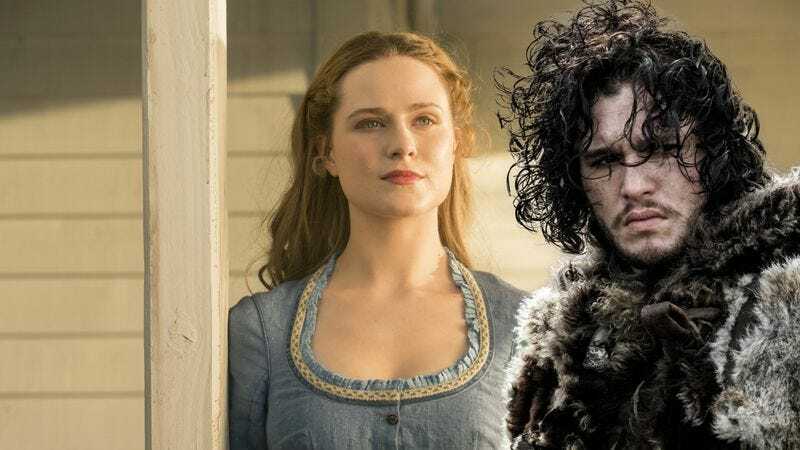 That doesn’t seem to be the case in HBO’s Westworld TV show—despite some theories that it’s secretly a sequel to the movie—but apparently Westworld showrunners Jonathan Nolan and Lisa Joy once considered adding in a nod to Game Of Thrones with a Westeros-themed medieval world. In fact, the idea was suggested by George R.R. Martin himself, who pitched the idea to Nolan and Joy while having dinner a few months ago. Sadly, cooler heads prevailed, and Entertainment Weekly caught up with Nolan to ask why the crossover never panned out. He says the idea was “flattering,” but he couldn’t go through with it because he chooses to believe that “dragons are real” and would have to sacrifice that if he included them in his own show. Plus, he says they have “an awful lot of material to cover just with Westworld,” so they can’t really afford to waste time worrying about a robot Jon Snow and his unruly robot pals. Still, you never know what kind of stunts they’ll pull if the ratings start to dip, or if HBO suddenly demands that the show goes on for 10 more years.